Can the new foldable AiAiAi Capital headphones amp up your portable soundsystem? 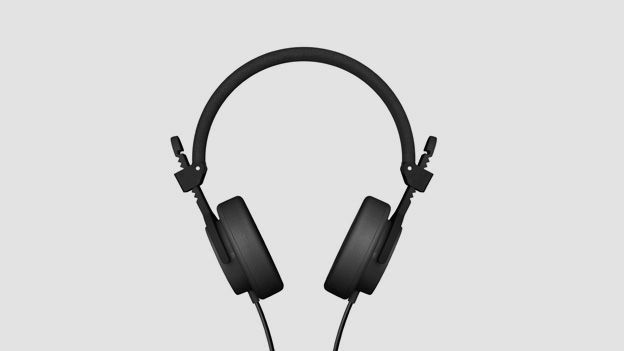 AiAiAi has been producing high-quality, high-concept headphones relatively under the radar for a while now. Despite its excellent 2manydjs-approved, club-focused TMA-1s getting a high score from T3, the Copenhagen-based soundsmiths have yet to scale the style-can publicity ladder that has seen the likes of Beats By Dr Dre Studios and Urbanears Plattans thrive. OK, there's only one Dre, but if we forget about him for a second, the latter's non-celebrity-focused success has been driven by stylish, functional cans at rock-bottom prices, which is where the AiAiAi Capitals step in. At half the price of the TMA-1s, these are a far more mass-market proposition, highlighted by the sight of them rubbing shoulders with the big boys in the Apple Store. But do they have the street smarts to be getting your hard-earned and make it into our lineup of the best headphones around? The Capitals have a very clever, iconic design idea at their heart, based around the ridiculous amount of space most over-ear headphones take up when you're not wearing them. This can be a pain if, like us, you don't like pushing things in your ears but want decent sound on the move without the need for a carry case on wheels. Not so with the Capitals. Through a system of foldable parts, hinges and a bendy rubber brace (that's the headband), they compress down to around half their natural size for easy storage, with interior ridges appearing to wrap the cable round to boot. Functionality has rarely been so impressive and you'll never tire of showing the mechanism off to people pretending to be interested at public gatherings. A typical three-button in-line remote sits conveniently on the cable for music control – play/pause, volume up, volume down – while a discreet mic means you can take calls and even FaceTime conversations on your iPod, iPhone or iPad through the 3.5mm jack. The Capitals' mix of rubber, fibreglass and nylon makes them exceptionally light, which is perfect for portability, but despite their much-flaunted “rugged” features, in the black look that we tried they can't seem to help themselves looking a bit plasticky. We'd advise getting one of the multi-coloured options, which seem to wear the build's materials a little more stylishly. This is where AiAiAi has placed much of its focus, the nylon and reinforced fibreglass construction designed specifically to endure the rigours of modern listening and the many knocks that commutes and their careless commuters throw at it. Make no mistake, these are headphones you can chuck about and that openly ask you to scrunch them up and wrap your cable round them. In short: our kind of cans. The drivers are well protected in the ear cup's foam, tested to withstand rain, snow and hail by AiAiAi – and wine, hummus and baby food by our office – and after a couple of weeks' use, we've found they hold up very well. It's often strange to treat something that appears so light and fragile with such disdain, but they're well 'ard. Our only moan would be that the connection between the ridged ear cup ascenders and the headband is not as bulletproof as we'd like, and one side has become slightly looser than the other. The reality is this doesn't prevent them doing their job, but could irritate more OCD audiophiles who like things just so. Built as they are for mobile functionality rather than home lounging, the Capitals aren't going to caress your head in a hurry. They feel a little plasticky against your noggin at first, the foam cup quite firm against your ears, and they have to be worn in just the right way for their much-flaunted weather resistance to work, too. Yet you soon grow to love their fit – our biggest complaint about the otherwise exceptional TMA-1s was how loose they were, often moving about on your head when you least expected it. AiAiAi has built these for no-nonsense mobile wear so they're firm and stable, embracing your head tightly but not uncomfortably so, with ridged ear cup ascenders enabling 10 different size fits. The Capitals' promised ruggedness also doesn't come at a weight cost, with their exceptional lightness – having just spent a few weeks with the Parrot Ziks, they feel like they're made of feathers – meaning they not only sit easily up top, but don't weigh your bag down either. The foam ear cups are also thankfully of the won't-sweat- your-ears-up variety, too. As the Capitals are meant for use on the move, and with a lack of noise-cancelling due (presumably) to the wish to keep them light and low-cost, AiAiAi has focused on loud, punchy audio to be heard above the modern, unnecessarily noisy world. To this end, it has succeeded, with admirable power, clarity and even texture from its 40mm titanium drivers. This focus means, rather inevitably, that more strident, powerful music benefits most. A bit of aggressive hip- hop with loud competing jump-cuts such as El-P's 'Cancer 4 Cure' is a revelation of response and recognition, while lighter, more understated fare such as Washed Out's 'Within and Without' can seem two-dimensional by comparison, lacking the necessary depth in the high and low ends at times. This power focus also comes at a slight cost – to others, if not yourself – which is some quite noticeable audio leaking, although that never halted Beats By Dr Dre's popularity – try using Studios at any decent volume on a train and see how many funny looks you get (trust us, it's not the styling). Likewise, the similarly priced Nocs NS700 Phasers offer more depth and clarity in the low end, but then you can't fold them up and fit them in your jacket pocket. With the AiAiAi Capitals, the brand has stripped its professional musical know-how down for the mobile headphones market and has come up with a real success. The foldable design is ingenious and genuinely useful, the build light but rugged, the sound clear and loud, and all for a very affordable price. There are niggles that mean these headphones aren't for everyone – the fit is functional rather than luxurious, the audio powerful rather than deep and we'd steer clear of the black ones as they look a bit plasticky compared to the stylish multi-coloured varieties. Yet these aren't for hearing a pin drop in the comfort of your own Chesterfield, they're for blasting out tunes over irritating blowhards on urban transport, remaining unmoved and unbroken as that man reaching for the cross rail elbows you in the head for a third time, and looking good as they do. For that, they're nigh on perfect.